If you have any issues please email (support@blueskystatistics.com) or call the support line at 1-224-5015613 . Accessing Technical Support If you have any issues please email (support@blueskystatistics.com). Anything I should know about license keys, before purchasing? License key is tied to your computer. So, its recommended that you should get key for the computer that you will be using to run this application. You will not be able to use license key of one computer on another one. Right now we only process credit cards. So no other option is available. Download BlueSky Utility by filling out the following form so that we can inform you of defects and updates. Do not forget to click the "Submit" button. Can I use my license key on a second computer? No. License key is tied to your computer and it is non-transferable. If you have further questions please contact support@blueskystatistics.com. PayPal option is not currently available. Does my software license expire? License key are sold as 1 year subscription. So, yes it will expire after one year for the day of purchase. How does purchasing work. What is the process? 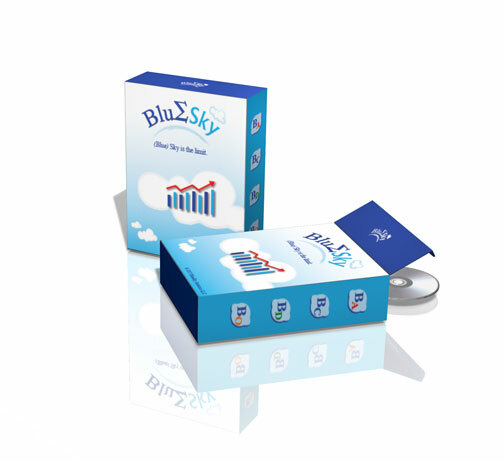 For purchasing license you would need to visit www.blueskystatistics.com. First you will have to create an account, if you do not already have an existing account with us. Logon to your account with us and click on "Purchase/Renew License" tab and make a purchase, following on screen instructions. You would need to enter your credit card information. Now from installed BlueSky application you need to send us some generated code by email (support@blueskystatistics.com) . Once payment is verified and processed you will be provided with a license key that you will use to activate the BlueSky software from within. I do not see a download link. Why? If I purchase after my trial expires, do I have to install the application again? No need to uninstall and install again, after trial expires. You can purchase license key and activate the same installed version of BlueSky application. If my trial expires can I install fresh copy to get extra trial days? If trial is expired, its expired. Nothing can be done to get more trial days. All you need to do after trial expires, is to purchase a license key and activate your product. Customers may purchase software online using either a VISA or a MasterCard credit card. We do not accept American Express. What happens if I loose my license key? Its recomendded to keep your license key safe with you. It is not supposed to be shared with anyone. Its non-transferable. But in case you lost your key, and subscription is still valid, you can contact support@blueskystatistics.com with your details. After verifying your details we will send you the same key. What happens if my trial expires? If your trial expires, you may not be able to do anything useful with the BlueSky application. But if you purchase license and activate the same trial, the application will be fully functional again. What is the "CVV"? How do I find mine? You can find CVV on the back of your credit card. What is the difference between trail and purchased versions? Both are full versions, but trial will only work for given number of trial days. If you are dissatisfied with the product, you have to notify us via email within 15 days from the purchase of BlueSky license with your contact info and reason for your dissatisfaction. We will review your request for refund immediately. You will be entitled to get standard software updates ( defect fixes, minor enhancements) as long as you have a valid license. Why do I see a purchase license pop up each time I try to execute any dialog or a command from syntax? Either your trail is expired or is going to expire soon. Pop up reminds you of purchasing license before the BlueSky application becomes inactive after trail expires. To purchase a license go to 'Purchase/Renew License' tab . No need to install fresh copy of the BlueSky software. How can I download a trial? You have to create an account in BlueSky website (www.blueskystatistics.com) and then you have to go to the 'Downloads' tab and follow the instructions. You will not be charged for the trial download and so there is no need to enter credit card details. Once we receive your request we will verify your details and provide you a download link via email. You can click that link to download or you can follow download instructions provided in the same email, if you wish to download from within your account with us(www.blueskystatistics.com). How do I download the licensed (non-trail) version? All you need to do is to install the trial version and then purchase the license key and activate it. How do I purchase BlueSky software ? Visit BlueSky website (www.blueskystatistics.com), click on "Purchase/Renew License" tab and purchase the license. NOTE :: We do not store any credit card information. 1. Install BlueSky application (trial version). 2. Purchase license key from www.blueskystatistics.com. 3. Open BlueSky main application and go to "Help" menu. Click "Licensing". 4. A window will appear. Follow the instructions provided in that window. Do I need to uninstall trial and then install the purchased version? No you do not have to uninstall the trial version. You can convert the trial version to a licensed version any time by purchasing a license key. Visit www.blueskystatistics.com and click 'Purchase/Renew License' tab. Windows 7 or higher recommended.